The applicant shall make oath that he believes himself to be the original and first inventor of the process, machine, manufacture, or composition of matter, or improvement thereof, for which he solicits a patent; and shall state of what country he is a citizen. Such oath may be made before any person within the United States authorized by law to administer oaths, or, when made in a foreign country, before any diplomatic or consular officer of the United States authorized to administer oaths, or before any officer having an official seal and authorized to administer oaths in the foreign country in which the applicant may be, whose authority is proved by certificate of a diplomatic or consular officer of the United States, or apostille of an official designated by a foreign country which, by treaty or convention, accords like effect to apostilles of designated officials in the United States. Such oath is valid if it complies with the laws of the state or country where made. When the application is made as provided in this title by a person other than the inventor, the oath may be so varied in form that it can be made by him. 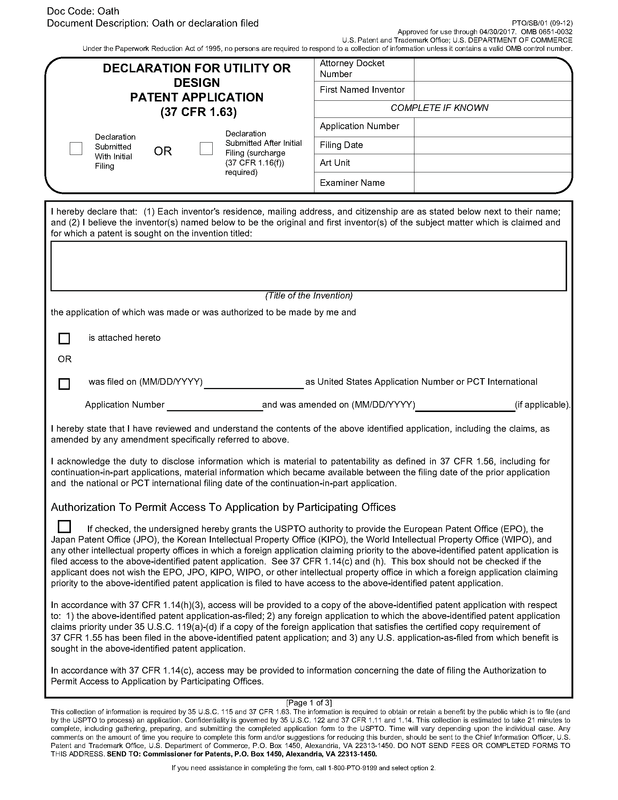 For purposes of this section, a consular officer shall include any United States citizen serving overseas, authorized to perform notarial functions pursuant to section 1750 of the Revised Statutes, as amended (22 U.S.C. 4221). 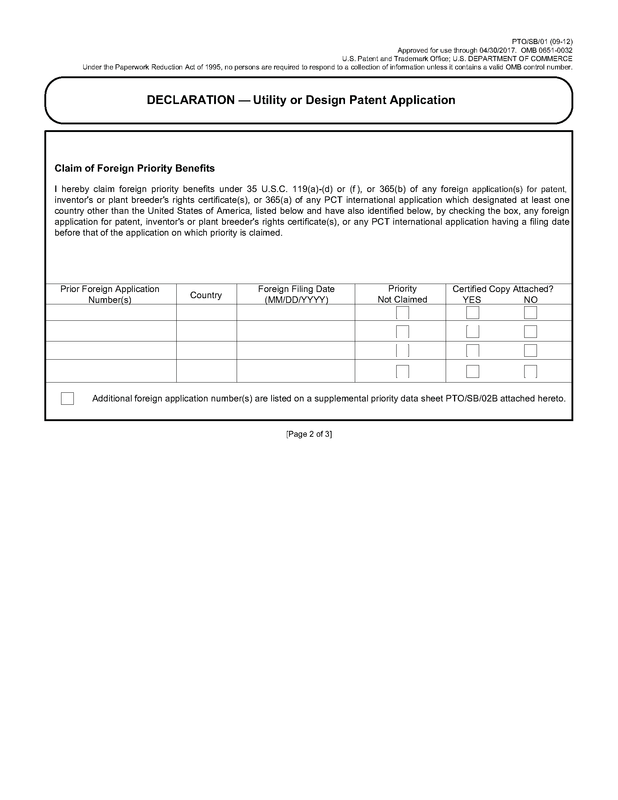 (2) Any foreign application for patent (or inventor’s certificate) for which a claim for priority is made pursuant to § 1.55, and any foreign application having a filing date before that of the application on which priority is claimed, by specifying the application number, country, day, month, and year of its filing. The inventor, or each individual who is a joint inventor of a claimed invention, in an application for patent (other than a provisional application) must execute an oath or declaration directed to the application, except as provided for in pre-AIA 37 CFR 1.64. See pre-AIA 37 CFR 1.63(a) and pre-AIA 35 U.S.C. 115. When joint inventors execute separate oaths or declarations, each oath or declaration should make reference to the fact that the affiant is a joint inventor together with each of the other inventors indicating them by name. This may be done by stating that he or she does verily believe himself or herself to be the original, first and joint inventor together with "A" or "A & B, etc." as the facts may be. 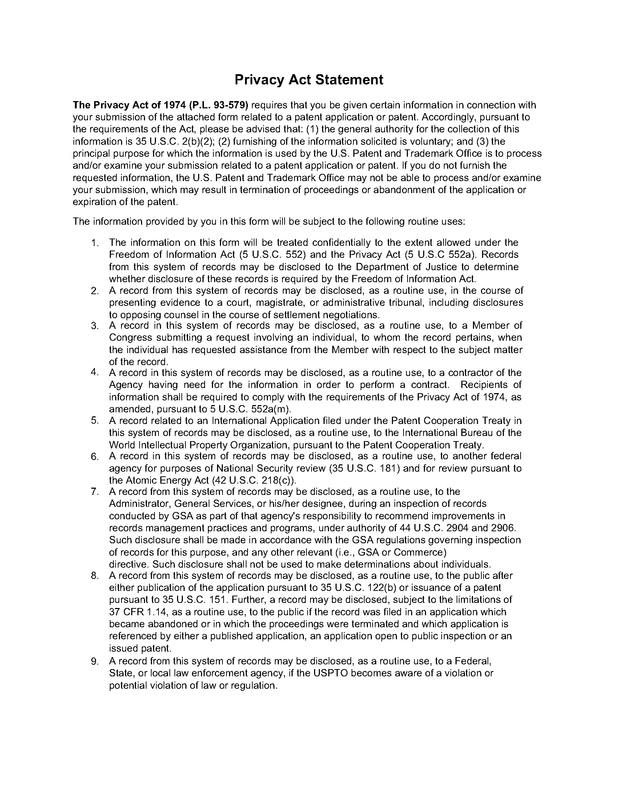 Pre-AIA 37 CFR 1.63(a) and (b) set forth the basic requirements for an oath or declaration in an application filed before September 16, 2012. See MPEP § 602.08 et seq. 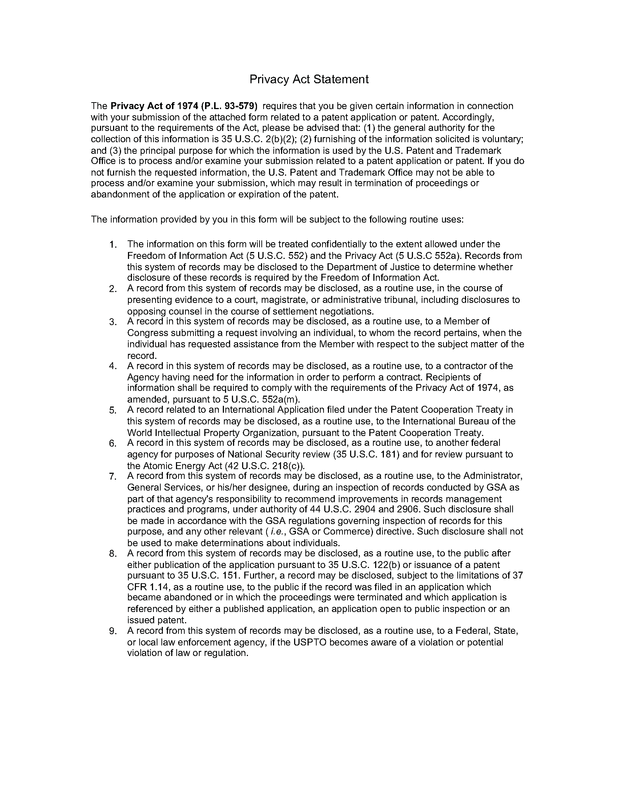 for details specific to the required inventor bibliographic information, signature, and name, and to the identification of the application to which the oath or declaration applies. 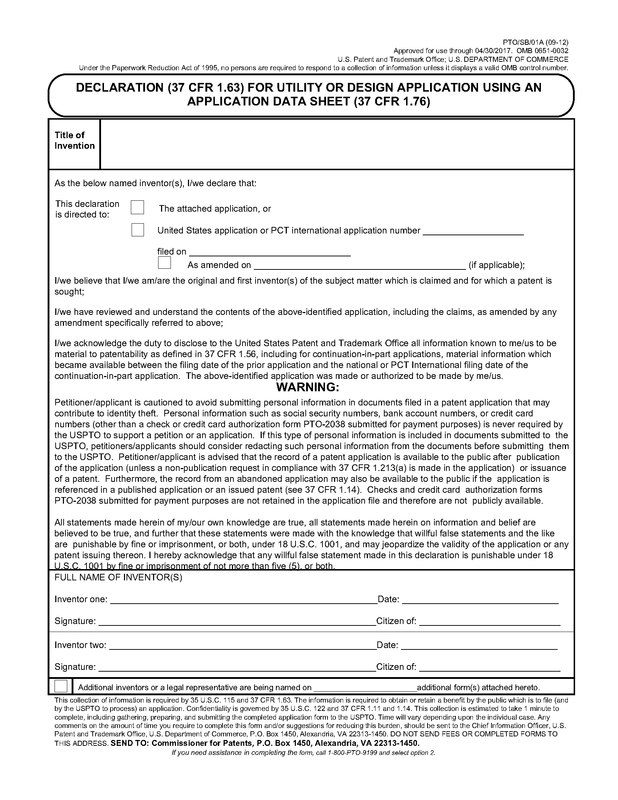 Unless included in an application data sheet, oaths and declarations must make reference to any foreign application for patent (or inventor’s certificate) for which priority is claimed and any foreign application filed prior to the filing date of an application on which priority is claimed. See pre-AIA 37 CFR 1.63(c)(2). The applicant is required to recite all foreign applications filed prior to the application on which priority is claimed. It is required to give the foreign application number and name of the country or office in which filed, as well as the filing date of each foreign application to which priority is claimed. See MPEP § 602.03 for information pertaining to defective oaths or declarations. 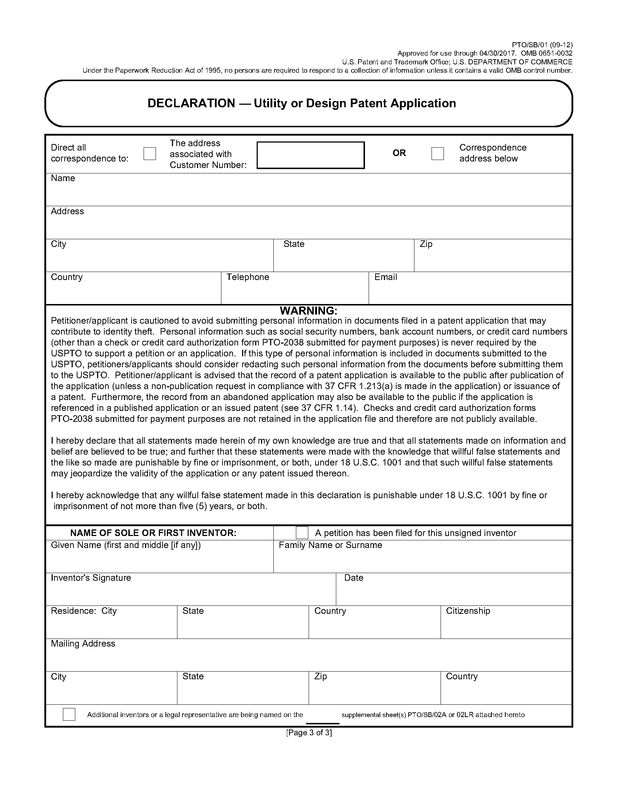 Forms PTO/SB/01 and PTO/SB/01A may be used when submitting the inventor’s oath or declaration in an application filed before September 16, 2012.